Kristina is Mastercard’s first Chief Sustainability Officer. She is passionate about Mastercard’s goal of moving people and markets from poverty to prosperity through inclusive growth. A catalyst for change, she works with Mastercard’s Board of Directors and senior executives to advance sustainability and drive strategic growth. She is helping shape Mastercard’s business strategy through its commitment to sustainability, which comes from the long-held belief that doing good for society helps them do well as a company. Kristina believes that companies must use their infrastructure and technologies, capital and creativity in order to create scalable and sustainable solutions that benefit everyone --employees, citizens, customers, companies and governments. As CSO, she collaborates with leadership across the business to integrate sustainability initiatives shared among business units and position them to be enterprisewide drivers of growth – in advancing inclusive growth, ensuring a workforce that is inspired by a sense of purpose, limiting its impact of climate change, and putting ethics, data privacy and security first. Kristina’s role at Mastercard rests on two decades of experience from her work at IBM leading its global Corporate Responsibility, as an inaugural member and facilitator of IBM’s Corporate Service Corps and managing IBM’s Global Sports and Entertainment Sponsorships, among other responsibilities. 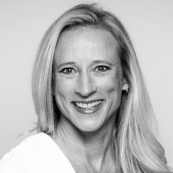 Kristina has served on a variety nonprofit boards and advisory councils, from Outward Bound International to New York City Ballet’s School of American Ballet, lending her expertise in sustainability, marketing, strategic planning and fundraising. A former professional ballerina, she also loves an adventure and can be found traveling the globe from the peaks of Kilimanjaro to the mountains of the Himalaya. With a passion for wellness, Kristina is a certified Holistic Health Coach. Most recently, Kristina was listed on Forbes: 46 Sustainability Leaders (Who Are Also Women) July, 2018.